Learn to Swing, Learn to Play, Learn to Listen. Legendary bassist Ron Carter joins Wayne on the show for a fireside chat about his rich musical life so far. They talk about his work with Miles Davis, collaborations with Herbie Hancock, his current band and more. A fascinating insight to the world's most recorded bassist. BJS Podcast producer Mike Guest takes the controls for this 'Love Supreme' special. The Love Supreme Jazz Festival saw its first outling last summer with artists like Branford Marsalis, Terence Blanchard, Snarky Puppy and many more. Mike was there at the Brighton Jazz School Stand armed with a Microphone talking to musicians, the public and organisers to give you the inside knowledge. If you missed it last year, be sure to put the 4-6th of July 2014 in your diaries because its happening all over again. I've been following Eric's career since James Williams turned me on to his music back in the late 90s. What I love about his playing is the deep sense of tradition without sounding 'old-hat'. 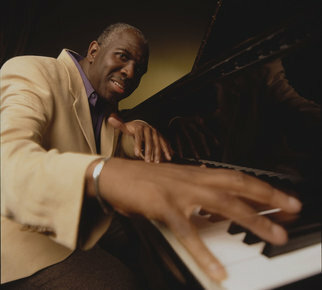 He has always been one of the foremost pianists of his generation. I'm very grateful for the time he gave to us for this excellent episode. Ahmad has long been a personal hero of mine and I am so excited to present this show to you. I spoke with Ahmad at great length about many important aspects of music. He is a beautiful soul, always so gracious and in my view one of the great geniuses of music. Dan is a wonderful pianist and among the first generation of jazz educators. 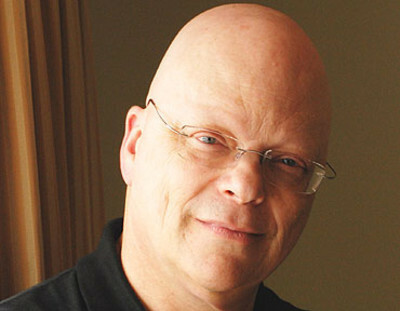 He has worked extensively with Jamey Aebersold and has written many books on Jazz Improvisation and piano specific material. I caught up with him on the phone from his home in Texas. He has been called the most gifted vocalist of this generation. 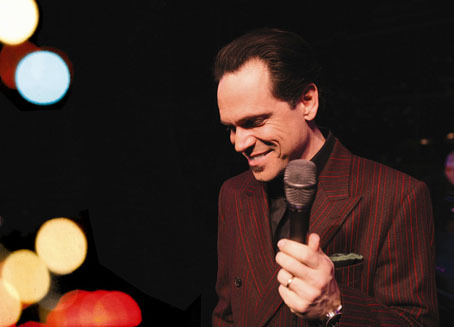 Kurt Elling talks to Wayne about the art of Vocalise and his life on the road. Wayne reviews his new album 1619 Broadway - The Brill Building Project. Listen below. Gary needs no introduction and I think this show will reveal why if you are not familiar with his music you jolly well should be. This was among one of the most comfortable and enjoyable interviews I have done! Christian is without doubt one of the baddest bass players on the planet right now. He's worked with many of the legends of jazz and even the Godfather of Soul. His huge sound and swinging feel have long been the staple for many jazz records since the 80s. I spoke to him about many in depth things about the music and our mutual friend James Williams. Israeli born drummer Asaf Sirkis has very quickly made a name for himself since coming to the UK in late 90s. In my view, one of the world's premier drummers and percussionists. In this interview we talk about groove, swing and playing in odd time signatures. We have some living legends here in Brighton and Andy is certainly one of them. Having worked with Maynard Ferguson's Band in the 70s he has worked as a studio musicians working with many top names including: Buddy Rich, Quincy Jones, Sarah Vaughan, Diana Ross, Ray Charles, Frank Sinatra, Elvis Presley, Earth Wind and Fire, Blood Sweat and Tears, Lisa Minnelli and a host of others. Here he is in a wonderful interview from his home in Brighton. This was a very special podcast, we traveled up to the offices of Director and Writer Hannah Rothschild. She had just published a book about her great-aunt Pannonica or Nica. Its an interesting interview talking about the moment she met Nica in a NYC jazz club and of course her influence on the great Thelonious Monk. Cathy is a wonderful vocalist from LA but has a large fan-base here in the UK. I managed to catch up with her while she was here doing some gigs and we managed to get her to do a masterclass at the school. We share a lot of the same principles and values about this music and have a great connection. Check it out for yourself! I've been a huge fan of Joe's playing since hearing him in the Storms/Nocturnes Trio. Joe came to Brighton Jazz School to give a workshop/masterclass last year. My trio also did a gig with him at the Verdict Jazz Club in Brighton. Check out this lively interview direct from his home in NYC! I first heard Joey in Michael Brecker's band and was blown away by his playing. Since then I've got almost all of his trio recordings and those with the Branford Marsalis Quartet. A powerhouse player, he is full of surprises, just when you think you've fathomed him out, he changes direction. Its a fascinating interview talking about the state of jazz today and featuring some tracks from his new trio record! Enjoy! 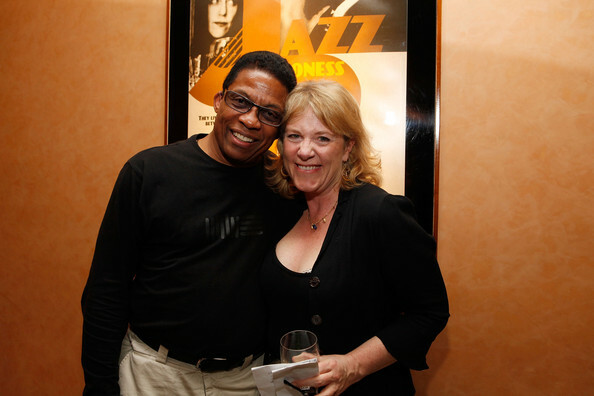 In this episode I talk to Freddie's son Duane Hubbard about his dad and what it was like growing up with Freddie Hubbard as your dad. Duane is now in charge of his father's estate and he talks a bit about the business end of things. Check it out! Geoffrey has been a huge influence on me as a pianist, it was James Williams who first 'hipped' me to GK's music. I've been hooked ever since. We share many of the same influences including the Memphis giant Phineas Newborn Jr. 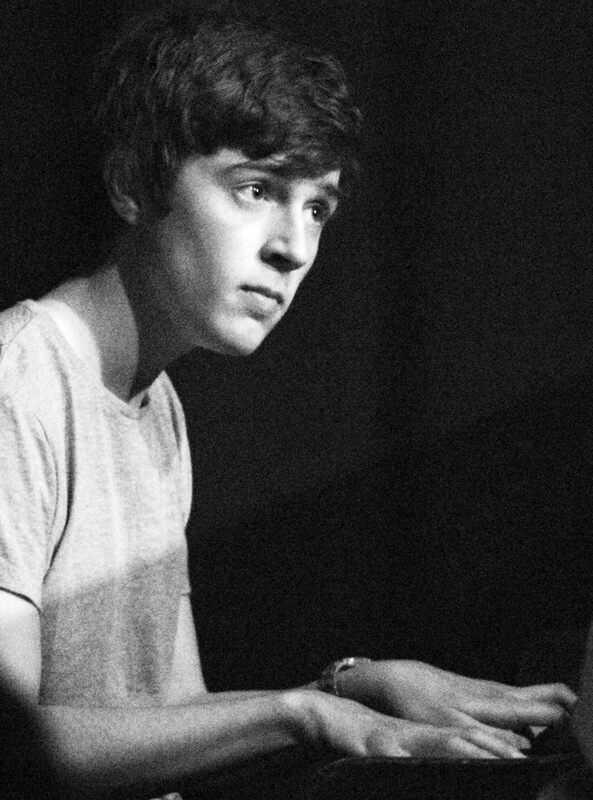 I've always admired Geoffrey's ability to orchestrate at the piano while improvising. This is something that comes directly from Newborn. Everything about Geoffrey's playing is developed to the fullest; incredible harmonic pallet. technique to die for and what seems like two brains, one for each hand! Geoffrey is also a Patron of Brighton Jazz School and has given a masterclass at the school back in April last year. Check out this fascinating interview! This episode is in dedication to one of the finest men I have ever met. James Williams was a Jazz Messenger (Art Blakey) and he was in the bands of Freddie Hubbard, Art Farmer and worked with many jazz greats such as Milt Jackson, Dizzy Gillespie, Ray Brown and Elvin Jones. I studied with James on and off for about 7 years. He was always very encouraging to me and I still learn things from him now. 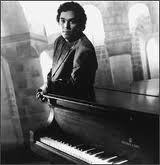 James passed away in 2004 but his music, spirit and teaching philosophies are still alive today! In fact, Brighton Jazz School would not exist if it wasn't for James! Enjoy this show dedicated to JW on his birthday! There's not many people who you meet and instantly take a liking too. That was the case when I met Paul for the first time. He was such an avid supporter of Jazz in Brighton and always championed great music. Sadly we lost Paul earlier this year but he will not be forgotten. He came to all of my gigs and really was a wonderful guy with encyclopedic knowledge of the music. We combined the interview with the fantastic Brighton based drummer Jim Whyte. Jim and I have played together in various projects including prog-rock band Marsupliami and US Vibraphonist Joe Locke. He share's his thoughts with Paul in a 'fireside' chat about the music. I first met Frank in Cambridge and he was already making a name for himself in Gilad Atzmon's band as well as with his trio. Since then he has numerous trio records out all of which I love. In this episode, I talk to the man himself and feature some tracks from his new record First Light. Joe is a local but his musical career has taken him all over the world and he has played with some remarkable people. Among them is Lady Day; Billie Holiday. He can often be seen playing at the Brunswick on Tuesdays and he captivates people with his lyrical improvisations on interesting tunes from his varied repertoire. As well as being a fantastic musician, he is a lovely guy. In his 80s and as cheeky as the best of them! I've known Terry for a long time and have always admired his melodic lines, solid time and his adventurous solos. He also relishes in the seemingly lost art of 'listening and responding'. Having played with Terry many times, you always feel he's right there with you ready to respond to every note. Check out this fascinating interview where he talks about his musical values, experience and his heroes. Some people are wise beyond their years, Dave is a combination of the purest natural talent and the hunger for success in the jazz business. He's a wonderful pianist who has really studied the greats that have walked before him. He has a unique voice and is definitely one to watch in the future. He's currently in NYC studying at the New School. Have a listen to what he has to say about some of his musical heroes! Heather is a rare breed of vocalist, she has extensive training and experience in the classical world and yet has all the feeling and rhythmic flare of a seasoned jazz singer. It just happens that she IS a seasoned jazz singer. Her debut album 'At Last' features pianist extraordinare Dave Newton. Check out this wonderful interview and some tracks from her album! Paul is a fantastic guitarist with classical and flamenco roots. He combines these with jazz in his own unique and beautiful way. Paul is also responsible for setting up the now infamous Brunswick Jam every Tuesday. Checkout this great interview. Brighton Jazz School is a place for learning to play Jazz authentically. We are a community that cares about your learning and we strive to help you reach your full potential all while maintaining the integrity of the music. We also run a monthly Podcast packed with excellent tips, reviews and interviews with some of the worlds greatest and most celebrated musicians. Come and start your journey! Sign up with your email address to receive our newsletter and free gifts. Thank you for subscribing. Please check your email and follow the instructions to finalise the process. Many thanks and you'll hear from us soon. Fantastic Summer School and Studio Session for our students. Have a lovely summer and see you in September!